This health insurance review is for the Permanent General Assurance Corporation based out of Nashville, Tennessee. The Permanent General Assurance Corporation offers auto insurance, but does not offer health insurance of any kind. Use our tool below to enter your zip code for online health insurance quotes in your area! This review will only focus on the services that Permanent General Assurance Corporation does offer. Individuals looking for health and medical insurance for themselves or their family should contact another insurance carrier. There is no additional information available regarding regional offices; however, there is an agent locator where individuals can enter an address or zip code to find an insurance agent near their home or place of business. The Permanent General Assurance Corporation offers auto insurance to customers in a total of 20 different states, including New York, California and Texas, among others. The Permanent General Assurance Company does not offer health, medical or dental insurance. The main product that the Permanent General Assurance Corporation offers to customers is nonstandard and specialty car insurance, which is insurance for individuals who are relatively new to driving, have a poor driving record, have been in several accidents, or are unable to find insurance coverage from other companies. This product is marketed heavily using television ads as “The General” car insurance. The promotions include marketing a low down payment and affordable monthly payments for drivers who cannot get other insurance. In addition, the Permanent General Assurance Corporation can deliver same day coverage notifications for drivers who need immediate protection. There is also online account access for current customers of the Permanent General Assurance Corporation. As mentioned earlier, the Permanent General Assurance Corporation does not have any health or medical insurance products available to individuals. Rated A- (Excellent) by the A.M. Best Company, the Permanent General Assurance Corporation has also received an A+ rating from the Better Business Bureau (BBB). The Better Business Bureau has also accredited the Permanent General Assurance Corporation since 2005. In the last 3 years, there have been a total of 87 complaints filed against the Permanent General Assurance Corporation through the Better Business Bureau. Seventy-one of those complaints were solved with assistance from the BBB, six were determined not to be a valid complaint, and for the other ten, it was determined by the BBB that the Permanent General Assurance Corporation made a good faith effort to solve the problem, but the customer still was not satisfied. This record of resolving complaints fairly and efficiently has helped the Permanent General Assurance Corporation earn an A+ rating. Since the Permanent General Assurance Corporation markets their car insurance product heavily on television, there are many customer reviews available online. Individuals should always rely on all the facts when making decisions on purchasing insurance, and not just look at other customers’ reviews. There is a direct link on the Permanent General Assurance Corporation webpage for individuals interested in employment with the company. 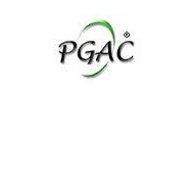 The employment page has a lot of information available, including a link to refer potential employees, as well as a link for current employees who are looking to apply internally for another position with the Permanent General Assurance Corporation. There are four different ways that potential and interested applicants can search for a job with the Permanent General Assurance Corporation. Fields for a keyword, as well as drop down menus for category of job, location, or position type are available. The position type refers to whether the individual is interested in full time, part time, or temporary work. There is also the availability to create an online profile to utilize when an individual wants to apply for multiple jobs. Profiles can be saved and then reopened when a position matches the interest of the individual. There is no information available about employee benefits with the company. However, current agents do have a secure link to access information about their customers on the website.